The waters of the Norwegian Sea that lap the Lofoten archipelago are responsible for the mildness of its winter temperatures due to the Gulf current. You can take with you souvenirs full of reflections. It will be quite simple to find cozy lodgings. A great number of Norwegian artists have made Lofoten their home and workplace, as you will see in the numerous workshops and galleries that you will find during your visit. 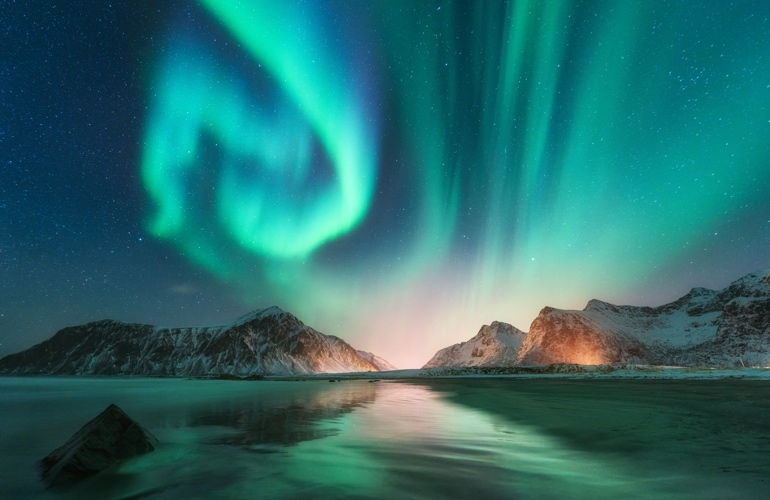 Anyone who has had the opportunity to enjoy the view of the northern lights will be able to tell you the emotion when observing this beautiful spectacle of celestial dance, in which a palette of green, purple and pink lights move in the darkness of the night to show the infinite space. Norway is one of the best countries in the world to contemplate them and has the so-called Northern Lights belt, which crosses the north of the country, from the Lofoten Islands to the North Cape. The city of Tromso is one of its most common destinations. The best time to hunt northern lights is from the end of September to the end of March. 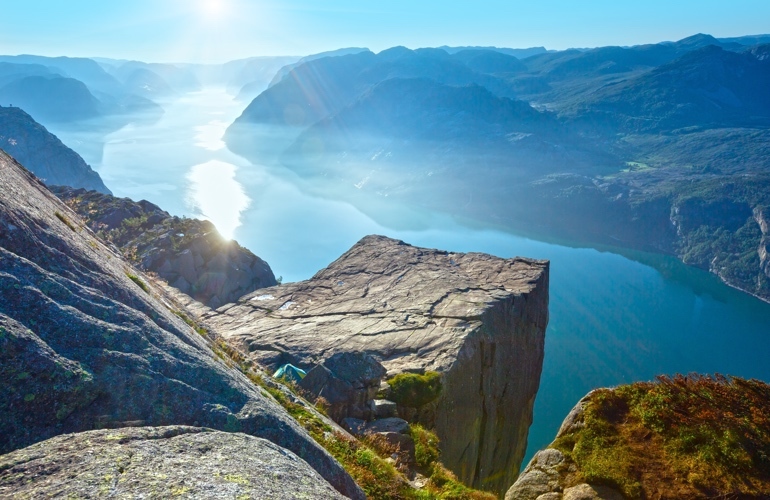 Preikestolen, “the pulpit in Norwegian” is one of Norway’s most impressive natural attractions for you. This rock formation located in the Ryfylke fjord area, north of the city of Stavanger, which rises 607 meters above the Lysefjord (the fjord of light). It is a must-see destination for lovers of hiking. It takes about two hours to reach the pulpit and it is perfectly signposted. 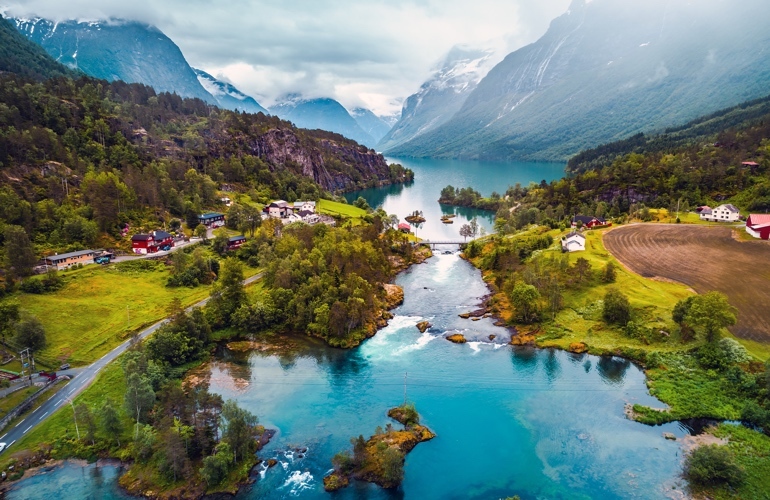 The Norwegian fjords are the most popular example of the natural beauty of the Scandinavian country. Protected by UNESCO, these deep sea waters ​​that penetrate up to two hundred kilometers in the interior of the mainland, create landscapes of vertigo cliffs and stunning waterfalls, and take you to the environment of a rural Norway. Norway offers the possibility of enjoying one of the most beautiful experiences that can be practiced in the snow. 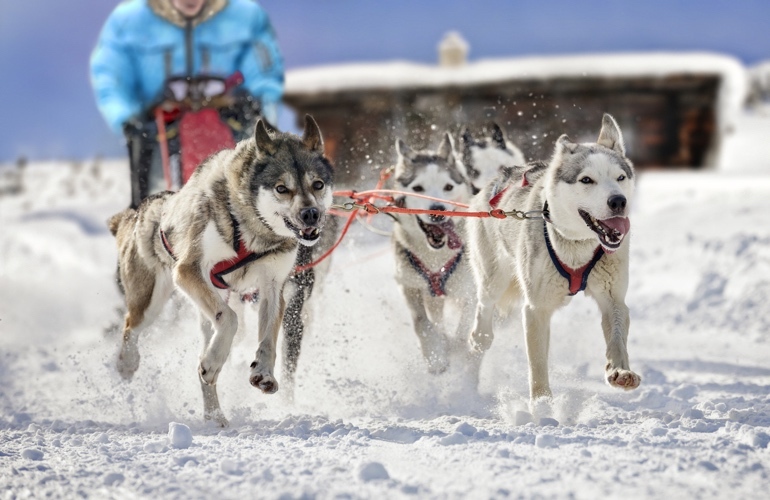 Tromso, the so-called Arctic Gate, is one of the best-valued destinations for husky dog sledding, not only for the specialized companies operating in the area but also for the beautiful landscapes of the region. You will relax and enjoy the background sound of the sledges sliding on the snow and the echo of the distant indications of the drivers that form the caravan. The experience will end with a visit to the husky puppies, and a lunch based on traditional dishes in a Sami hut, typical of Norwegian Lapland. 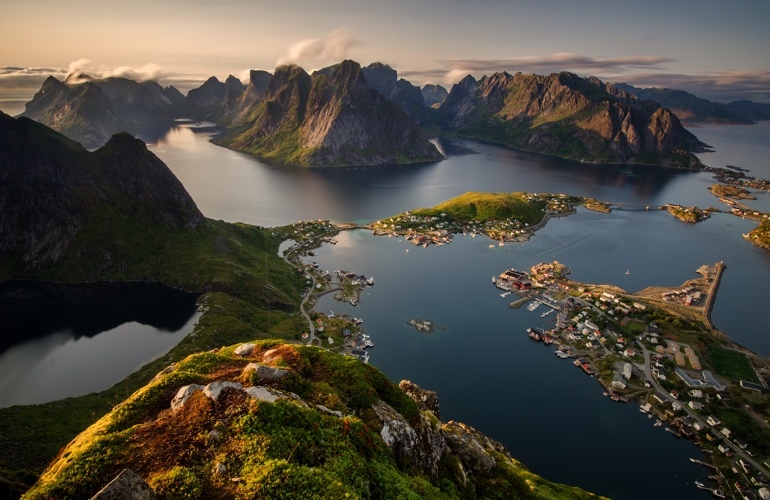 The Vesteralen archipelago, located next to the Norwegian Sea and north of the Lofoten islands, is one of the areas of Norway that lies next to the beautiful landscapes dotted with small hills, endless beaches, and great mountains. At the far end of one of its main islands, you will find the city of Andenes, a place of pilgrimage for those who want to make whale sightings. 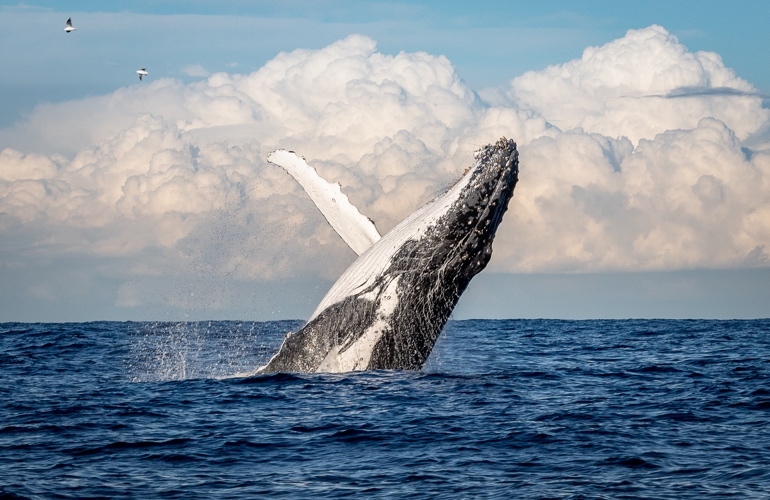 Its location allows you to reach the deep sea areas without a long journey, and contemplate the great cetaceans when they come to eat on the Norwegian Sea. The best time of the year is from November to March, but there are also great chances of spotting them, from mid-May to mid-September. 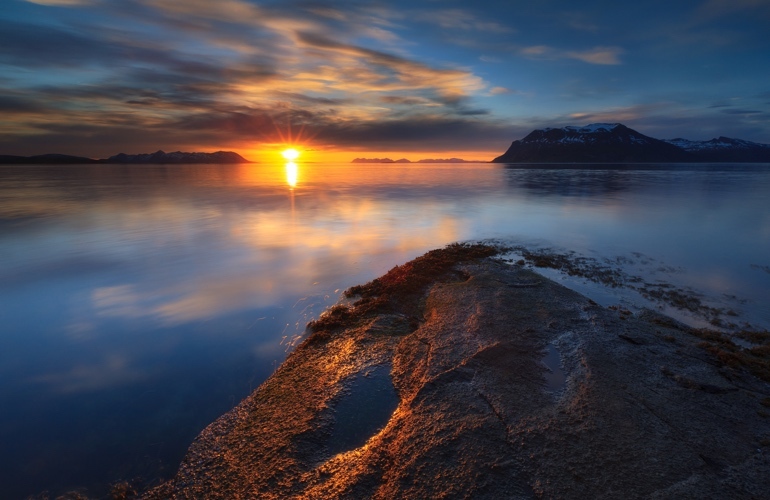 The midnight sun is an almost magical phenomenon that makes the sun visible twenty-four hours on the dates close to the summer solstice. In the Arctic archipelago of Svalbard, the northernmost inhabited area of Europe, you can see it from mid-April to the end of August. It is a magnificent spectacle that colors the sky and the earth with a golden glow which magnifies the colors. Although about 60% of the territory is covered by glaciers, the current of the North Atlantic tempers the Svalbard Islands, allowing you to admire its unique fauna such as polar bears, arctic foxes and reindeers, and the spectacular landscape of Arctic tundra that covers the non-frozen areas. The Norwegian capital, Oslo, is one of the fastest growing European cities, and according to official data. 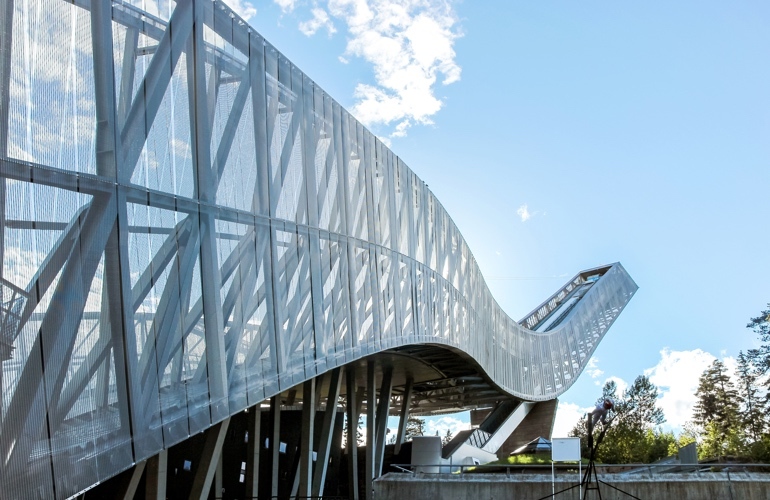 This population growth has transformed its urban landscape with new and interesting architectural developments, all designed with special attention to preserving the idyllic natural environment that surrounds the Scandinavian capital. 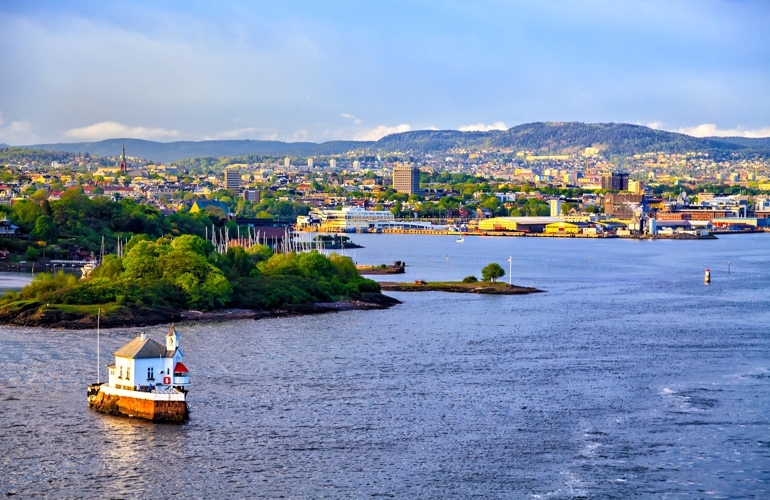 Oslo is in front of a fjord that bathes its commercial areas and has occupied old ports to design its new, calm, and residential neighborhoods. In addition to its nature, Norway is also a gastronomic destination with quality products especially fish or seafood. 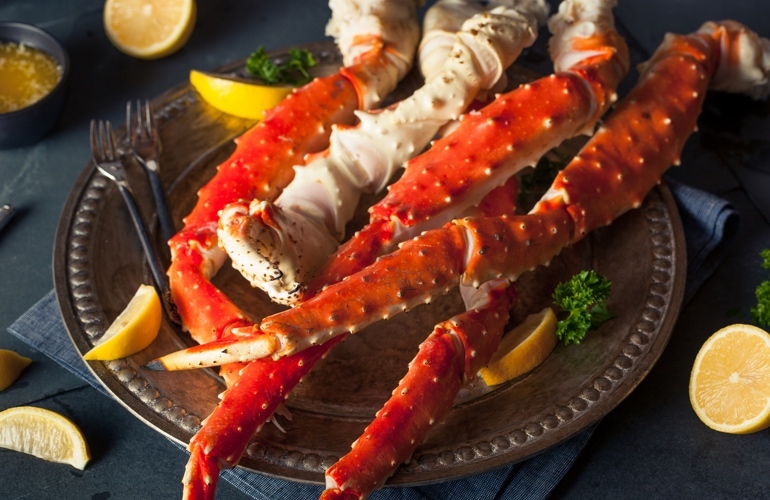 It is considered “the paradise of salmon, cod and king crab”. Moreover, a special attention to the use of local, organic and seasonal products. In 2016, the Maaemo restaurant in Oslo has obtained its third Michelin star in the famous red guide. Another Oslo location, Kontrast, also entered the acclaimed list this year, thanks to its contemporary Scandinavian cuisine, which pampers local products. Oslo is one of the European capitals with a desirable natural environment, an authentic escape valve for its inhabitants, who take advantage of their free time to make the most of the hills that surround it. Line 1 of the Oslo metro network connects the center of the capital in just thirty minutes with Holmenkollen hill, the nearest winter leisure area. The climb will allow you to enjoy a downhill sleigh on the free track, you just have to pay the rental of the skates known as a corkscrew. You will have 10 minutes to release adrenaline. It is just perfect for lovers of speed.